Cabernet Franc is the herbaceous cousin of Cabernet Sauvignon. A past customer review described Plum Ridge Cab Franc as “Rich, intense and elegantly styled. Starts with floral characteristics that segue into aromas of varietal fruit and smoky pencil shavings. The palate has ripe depth with dark fruit flavor, well-integrated oak, and soft tannins. The long and flavorful finish provides a burst of black cherry fruit and subtle oak complexities”. To order grapes, click “choose an option” and select a product size (pail, drum, etc.) Next, enter a quantity and click the “Add to Cart” button. See the description section below for additional information. Cabernet Franc is often blended with Cabernet Sauvignon, Merlot and Malbec. It is equal to Cabernet Sauvignon in this cool ridgetop environment. With age, spice and oak, it drinks beautifully as a single varietal wine. As a blender, it fits well with Merlot. If making a varietal wine, consider using 10% to 15% Cabernet Sauvignon, and a splash of Merlot to produce a memorable Cabernet Frank. After 6 years you will experience a Bordeaux style wine of impressive stature. 1986 was the beginning of Plum Ridge Vineyard. It was conceived and planned to produce Bordeaux varietals of exceptional quality. The land is almost all hillside and ranges in elevation from 1300 to 1800 feet. 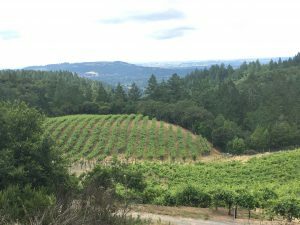 The vineyard is on a crest overlooking the Valley of the Moon and the diminishing northerly slope of Sonoma Mountain East of the town of Santa Rosa. Almost 80 acres of hillsides and hilltops comprise the setting for six distinct vineyard plots of eight varietals. This is a stunning vineyard with the potential for exceptional wine. Cabernet Sauvignon is the core grape occupying three distinct plots. 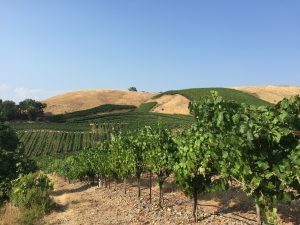 Brehm Vineyards began exploring this vineyard in 2011 during a very cool, wet season. We were impressed with the quality of fruit and the resulting wine. The high elevation offers coolness during the day, and warm nights. Air movement allows good conditions within the canopy. 2011 grapes had good sugar, were clean with balanced acids, right on varietal character while many of the valley grapes suffered. These are cool climate grapes, they come in late, and that is what Peter likes. Without implying any inferiority of any vineyard aspect, we are enjoying the benefits of ridge top, hillside aspects. While the valleys get warmer in the day and cooler in the evening than the hilltops do. The hilltops stay cooler in the heat of the day and warmer at night. 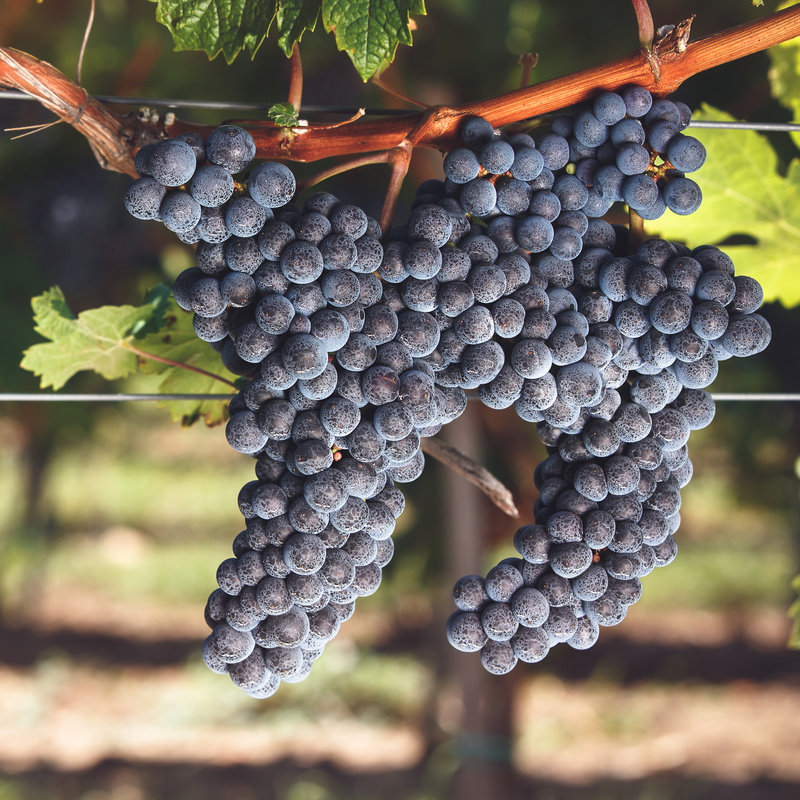 Late maturing varietals can benefit with the warmer evening temperatures, in the fall especially.